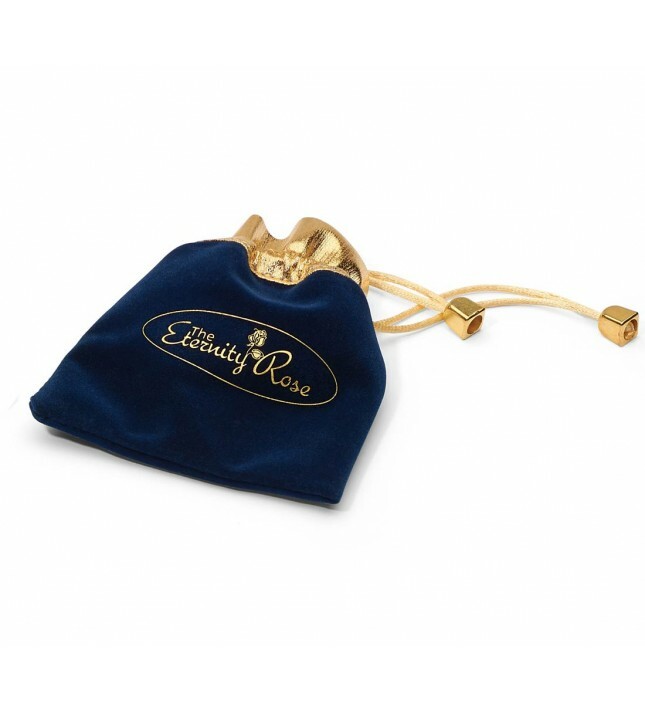 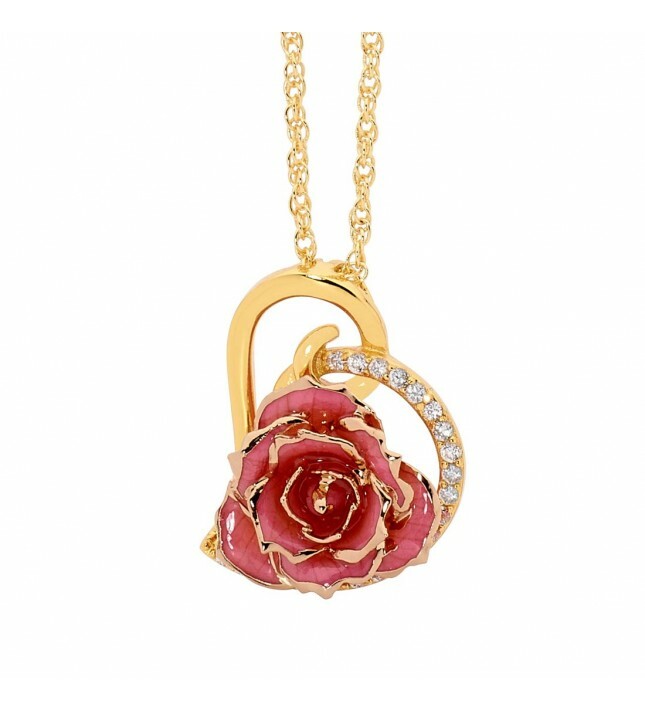 • The pendant is manufactured from genuine miniature pink rose petals that have been glazed to perfection and trimmed in fine 24 karat gold. 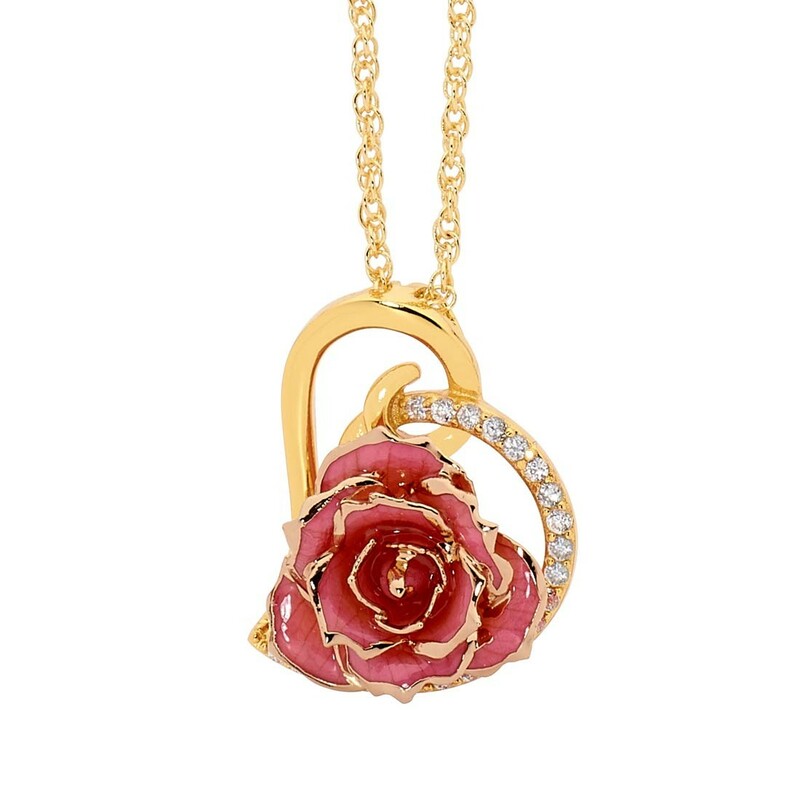 Made with beautifully glazed natural miniature pink rose petals that have been trimmed with pure 24 karat gold, each heart-shaped pendant includes a matching gold-dipped chain. Encrusted with brilliant synthetic diamonds, the miniature rose head measures 3/4" in diameter.